Muslim leaders to abandon plans for Ground Zero community center | Virginia Right! 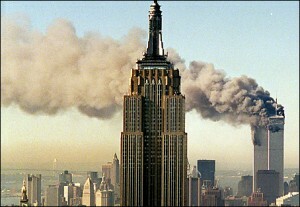 According to Haaretz.com, Muslims will abandon their plans to build a Mosque at Ground Zero in the next few days. Insiders say Muslim spiritual leaders behind the controversial initiative are considering giving up on the former World Trade Center location, in a gesture of appeasement. After weeks of heated debate over plans for an Islamic community center near Ground Zero – the site of the 9/11 attacks on New York – it seems Muslim leaders will soon back down, agreeing to move to a new site. The decision follows a high-profile campaign against the project that included advertisements on New York buses showing images of the burning Twin Towers, an iconic landmark razed when al-Qaida terrorists flew packed passenger planes into them in 2001. The New York Republican party is also said to be planning a hostile television campaign. Muslims with a sensitive soft spot for Ground Zero? I’ll believe it when I see it. Muslims are famous for using deceipt to achieve their ends.